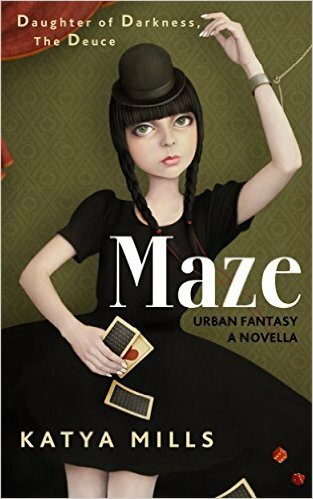 vitamin k: MAZE - pre-release! Thank you so much for your interest in my work. For those who are interested, I am planning to pre-release Book #2 in my urban fantasy series - Daughter of Darkness - very soon! I will alert you when this happens.You will then be able to pre-order a copy of the book on Amazon.com. I am holding rock steady to my plan for publication on or by Halloween. I am eradicating the use of quotations (well, I am in process of doing so) in favor of italics and dashes and any other means of conveying speech without quotes. I did accomplish this in parts of my novel Girl Without Borders. This should allow for a more seamless reading experience (an item on the wishlist of some readers of the first book). My hope is that it will help accentuate the natural rhythms of language in the narrative. You will also see a departure from the choppiness in Grand Theft Life (short breaking sentences), in favor of longer flowing passages.